I did my best to photograph these nails since everything about them is subtle. 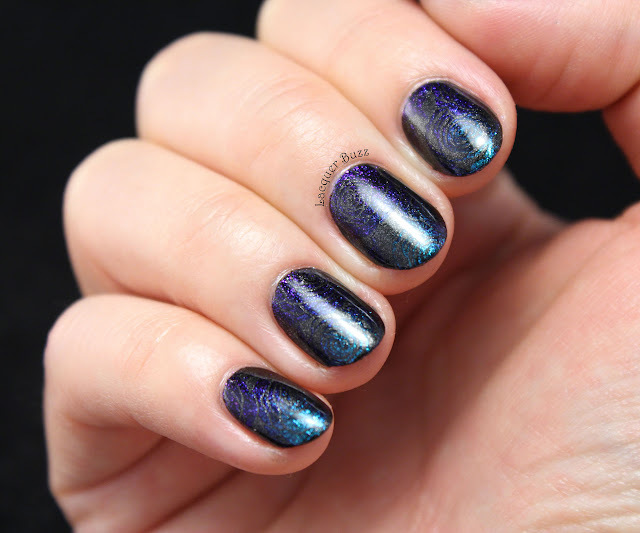 There's a subtle gradient with some subtle stamping and a bit of a duochrome effect. There's also blue in there but it shows up more like purple on camera. I can assure you that it looks more blue in real life. 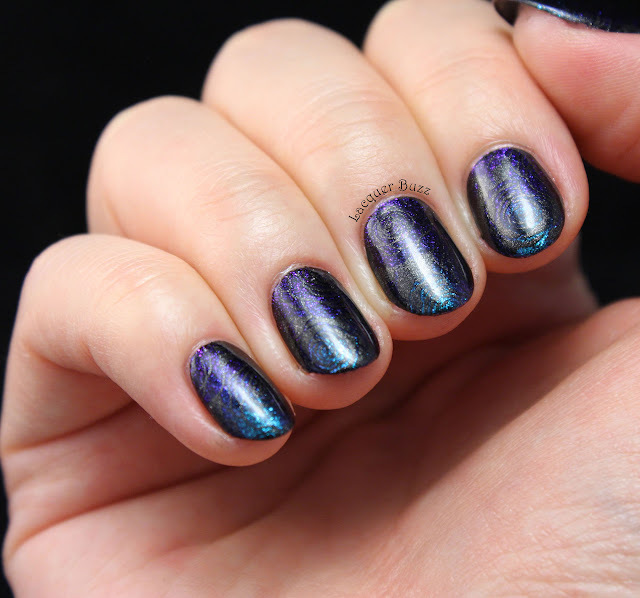 First off, I used a black base to make the gradient pop and make the colors more opaque. 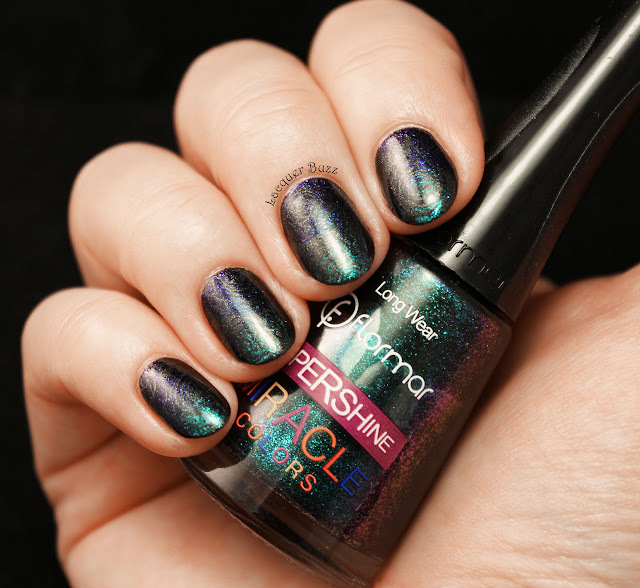 I used 3 of the Flormar Miracle Colors polishes for the gradient. From cuticle to the tips they are: U25 (blue with a fuchsia shift), U08 (dark blue/purple duochrome) and U33 (teal/purple duochrome). On top of the gradient I stamped a rose image from plate BP-L024 from the Born Pretty Store. 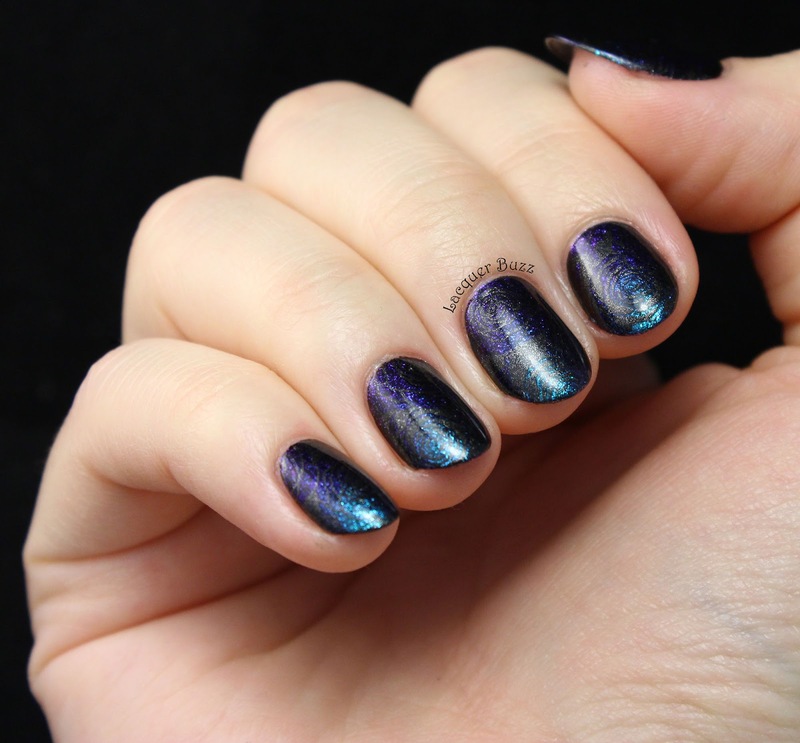 I used Kleancolor Metallic Black so the stamping is shimmery like the gradient underneath. It's really hard to see, especially in the pictures but I love how it looks. The roses are so elegant and they add a nice touch to the gradient. I'm pretty sure I'll be sporting these nails for the whole week. Frankly, I don't mind at all since they look gorgeous and are so right for this season. Hope you enjoyed them too! Don't forget to check out the rest of this month's Monday Blues in the links below!